Welcome to learn Kiteboarding or also known as kitesurfing, this sport gained popularity day by day at our Oxbold Watersport Center in Balok Beach, Kuantan. We are located inside the compound of De Rhu Beach Resort by entering thru Gate C which next to the Mint Restaurant Kuantan. Kitesufing is a complex, but rewarding sport, it involves a combination of several sport skills, including surfing, wakeboarding and kiteflying. Different size kites allows you to kiteboard in various wind strengths. The bigger the kite, the lighter the wind you can go in and vice versa. With bigger kites you can get going in as little as 10 knots, and with smaller kites you can still sail along in strong winds of 35 knots or more. When is the best time to learn kiteboarding in Malaysia? Is Kitesurfing easy to learn? Compared to windsurfing, wakeboarding and surfing, kiteboarding is a relatively easy sport to learn. Most students are able to get up on their board after two or three lessons from our kiteboarding lesson. If you have prior experience in surfing, kite-flying, windsurfing or wakeboarding, the learning curve will be shorter, but anyone can learn provided they have the patience and willingness to learn. Being comfortable in the water will certainly help. With good instruction, the learning curve is accelerated. Without good instruction, or no instruction at all, kitesurfing can be quite dangerous and time-consuming. It is recommended that all beginners receive some sort of training or take up a proper lesson. Kiteboarding is a safe sport only if you familiarize yourself with the safety aspects of the sport. Lessons are extremely important. It is important to note that kiteboarders can pose a danger to the public. Tensioned lines are razor sharp and can cause cuts to innocent bystanders. Lessons will jumpstart your learning process, and get you on the water quickly and safely. If you more questions, please click the link to check out our FREQUENTLY ASKED QUESTIONS page. 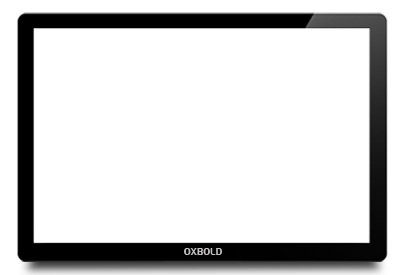 OXBOLD also the distributor and importer for Kitesurfing sports equipment. We carry brands like Airush and insturctor carry OzoneKites. If you wish to own your kite and board after you hook up the sport. You may consider to place your order with us. • Always check the weather report before you go kiteboarding. • Let people know where you are and how long you intend to be away. • Check local regulations in regards to kites and sailing. • Choose plenty of space - no people, trees, power lines, rocks, swimming areas, buildings, freeway's, airports or anything! And leave plenty of space for take off and choose a down wind stop point just in case. • Ideal wind directions are cross-shore winds and wind strength's about 8 to 15 knots. • Avoid gusty / unstable, cross off and off shore winds. Match your kite size to the wind strength. • Check your gear before and after every session, replace any worn or damaged parts before going out. • Always use your kite's safety systems - on a Wipika marine wing, the bar leash and quick release - to de-power the kite but retain equipment. • When using a board, attach a surfleash as you enter the water and wear a helmet. • Kites are not intended to endure repeated crashes on land, and neither are human bodies. We teach a maximum of 2 students with 1 kiteboarding instructor ratio. We recommend the 1 hour kitesurfing lesson if you have never flown a kite or done kiteboarding before. We provide student all the necessary skills, knowledge and experience needed to kiteboard in a responsible and competent manner. The goal with the lesson is to bring you up level by level where you can go out and continue practicing safely by yourself. We will walk you through all the steps needed to kiteboard in a safe way. We also offer a 10 hours lesson for people who are very committed, a kiteboarding guidance/coaching for intermediate student after your lesson, this can help in fast tracking you through a course. If you don't have 10 hours to spare we offer a 1 hour Kiteboarding lesson which will give you the basic skills and a good understanding of kiteboarding and the equipment. If you have previously completed training or need to brush up your skills this is a good choice. Our instructor will teach you based on your skills. You can sign up as many hours in a day you wish to depend your your schedule. 2. Good swimming skills is an advantage, If you cannot swim, you should learn. Safety briefing will be conducted on land or baech before the students enter the water. Students must follow all safety instruction. 4. Simple tricks such as back roll, front roll, board grab, toe side, transition tricks and etc. 1. A POSITIVE, FRIENDLY ATTITUDE & GOOD SENSE OF HUMOR!! Remember! Kitesurfing is a dangerous sport. It is wise to take lesson at a local reputable school and instructors. Please contact Oxbold Watersport Center for Kitesurfing Training information to get started the right way with proper training! Kiteboarding Lesson is popular for ideal GIFT Experience. Many of our customer buy this as Gift eVouchers for Couple, Lucky Draw, Birthday and etc.